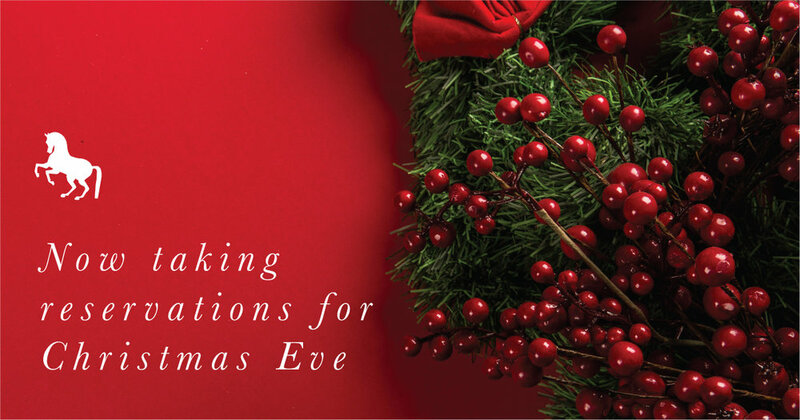 Want a delicious Christmas Eve dinner but don’t want to cook? The White Horse Inn has you covered. We will be open regular hours, 11:30 am-9 pm, and are accepting reservations of all sizes. We will be serving a limited menu. Call 810-678-2276 to reserve your spot!